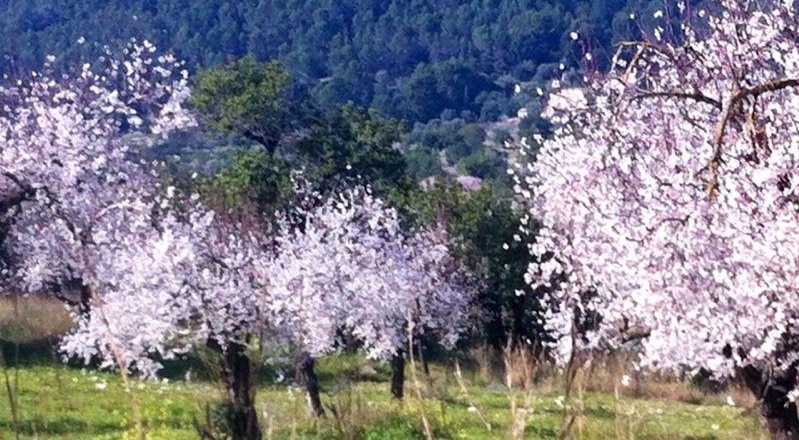 The Almond Blossom in Mallorca and Ibiza is for many the most magical time of year. Normally happening between the beginning of January and middle of February, it signifies the rebirth and the coming of spring. A delicate mantle of pink and white extends throughout the countryside, bathing the islands with a beautiful and dazzling bed of snow. For a few weeks, especially Ibiza truly lives up to it’s nickname „La Isla Blanca“ the white island. The traditional white houses that earned it this name are complimented by fields of brilliant white almond blossom. According to one of a few delightful stories, a long long time ago on the islands, there reigned a young king, who fell in love and married a beautiful girl, daughter of a great lord from the North. until one day, when an old Nordic man told the king that the princess was longing for the white snow-covered fields of her homeland. 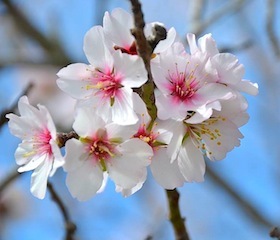 the king then ordered thousands of almond trees to be planted outside the windows of the palace, which, when they were in blossom, covered the land with white petals. The illusion took away her longing and the princess became joyful again. And this is why, since that spring so long ago, the islands relive each year the magic of the almond blossom. Spain is the world’s second largest producer of almonds, accounting for 13% of the global supply. Production on the islands increased dramatically in the nineteenth century after traditional olive groves and orange trees were blighted by disease. Almonds were a highly valued commodity and a fundamental source of income to many families as recently as the 1960s. 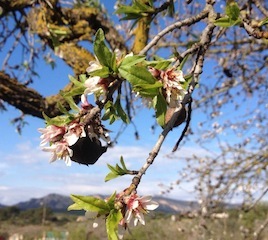 As the traditional ways of life on the island have fallen into the past, almond production has slumped. These days many thousands of trees in Ibiza and mallorca go completely untouched. On the trees last year’s husks rot away from the nut while the tree is blooming. Eventually the nuts themselves fall to the ground to feed the local wildlife lucky enough to posses good nibbling teeth. Rats make large stores of almonds and vast piles of gnawed husks can be found in abandoned buildings across the island. It raises strong emotions in elderly Ibicencos to know that in modern times the almonds they used to treasure have so little value that they now only feed rats. Long revered as the epitome of wellness and health, almonds are one of the richest sources of energy and nutrients essential for optimum health. They are gluten-free, rich in dietary fibre, vitamins, minerals and mono-unsaturated fatty acids that help reduce „bad cholesterol“. Many of the nutrients contained in almonds are good for the development of the brain, and being packed with vitamin E, protein and potassium, they also reduce the risk of heart disease and help regulate blood pressure. the list of the almond’s health benefits is endless – prevention against colon cancer, diabetes and alzheimer’s disease, and according to Ayurveda, they even nourish the nervous system and increase longevity. They help build strong bones and teeth, boost your energy and can actually help you lose weight as the healthy fat contained in almonds satisfies appetite and prevents over-eating. 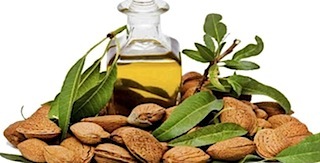 since the times of Ancient Egypt, almond oil has always been a popular ingredient in lotions and potions due to it being a wonderful emollient which helps keep the skin healthy and protected from dryness. 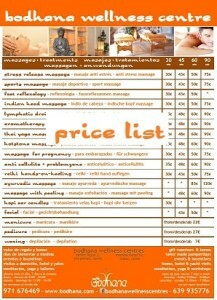 in bodhana we’ve been using natural organic almond oil for our massages and treatments for over 18 years, with amazing results and very possitive feedbacks.